Tasks are a convenient way to record future research areas that you wish to explore so you can keep track of your research. For each task, you can provide a title and detailed description along with commments and results. You can track the status of tasks with dates and status flags. 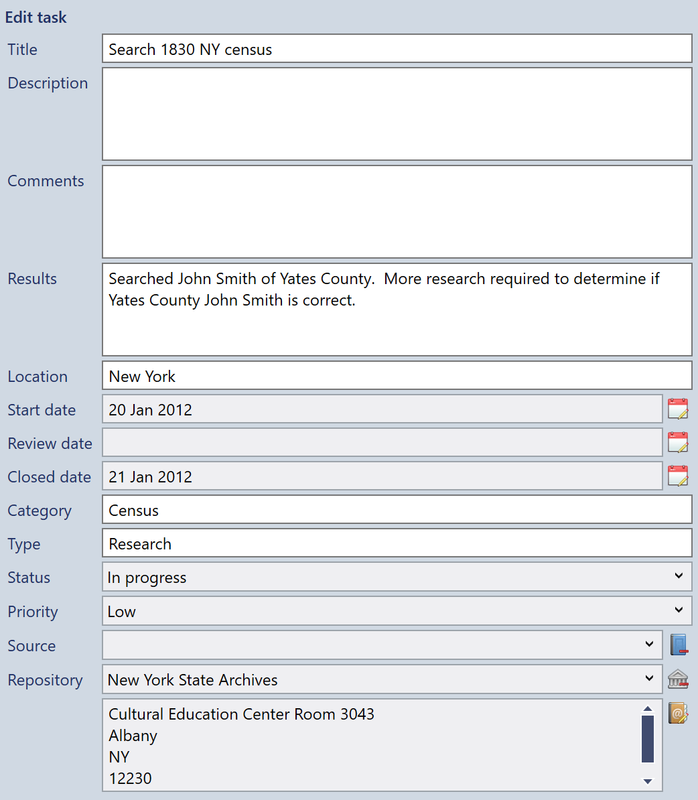 You can also link tasks to specific sources or repositories. Fig 1. Editing a task. The displayed tasks can be filtered using the filter box (see filters). Icons display the status and priority of different tasks. Fig 2. The Tasks list.